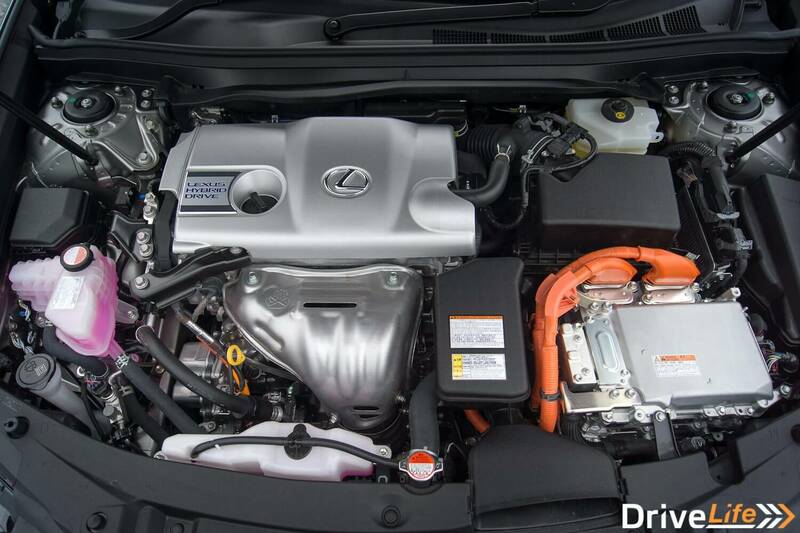 2016 Lexus ES 300H – Car Review – Where is my driver? 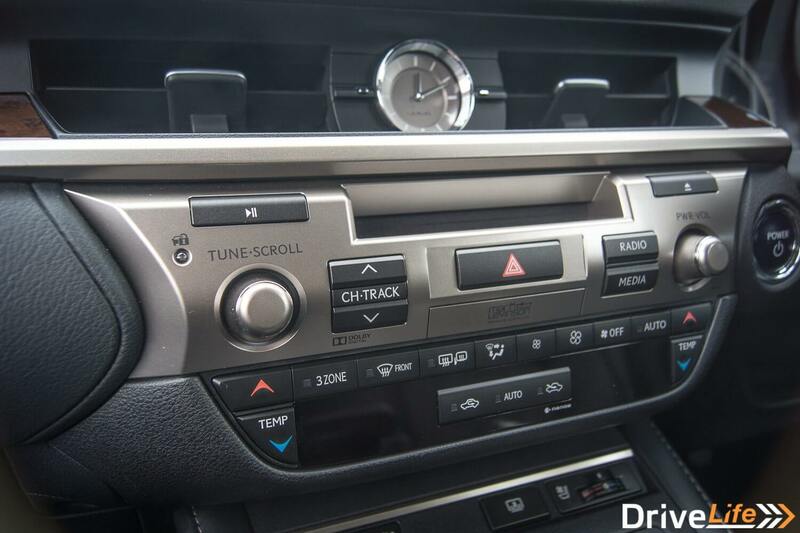 I got into the driver’s seat of this Lexus ES300h and although it was a very comfortable and welcoming place to be, I knew I was sitting in the wrong seat. The ES300h is a car designed to be driven in, not to drive. Nevertheless DriveLife would not give me a driver for the week that I had the ES so I had to soldier on on my own. From the outside the Lexus is a nice looking car, however it does not stand out from the crowd. 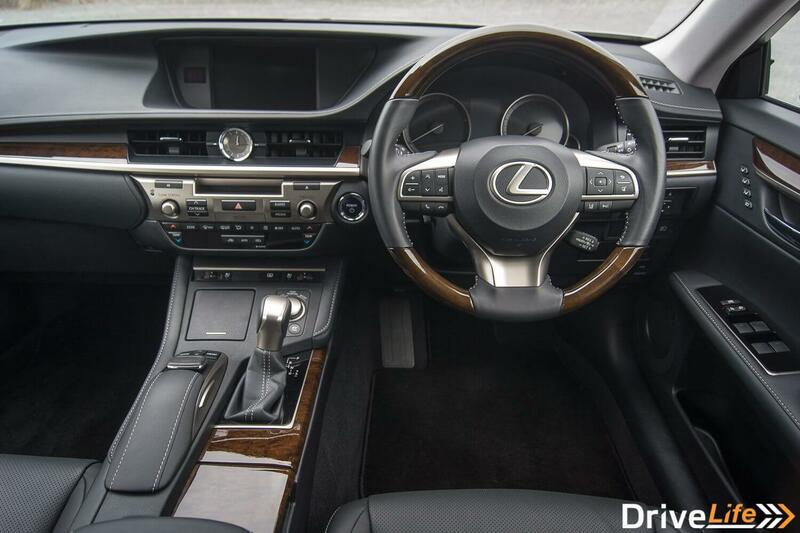 It has Lexus’ signature hour glass front grill and angled headlights but apart from that it just looks like every other large silver sedan on the road. As I am sure you have figured out the ‘h’ in ES300h is for hybrid, a 2.5L in-line 4 cylinder with a hybrid system attached to be precise. I found myself not even noticing the difference between the car being in electric or petrol modes and it would change between the two fairly frequently especially in the city. When stuck in traffic I found myself thinking back to the target market of this car, that market being either someone who had a professional driver, or possibly a company having a driven car on offer to clients. The ability to put the car in electric vehicle (EV) mode would be very handy if arriving or departing from functions, as you would not need/want the noisy engine to pull up to a front door collect its passengers and then moving off. Then once on the road and you wish to get up to speed the petrol engine can kick in again. I found out though that to engage the electric vehicle(EV) mode you had to have the battery at nearly full, and even at that it would not stay in EV mode for very long, only a matter of minutes even if stationary; it also only stays active as long as you are below 20km/h. You would have to be very precise if looking to use it to pick up a dignitary from a high profile event, by doing some laps around the block to make sure the battery was fully charged and just pulling up in time to collect and then move off. That being said, the engine is very quiet when running but not unnoticable. 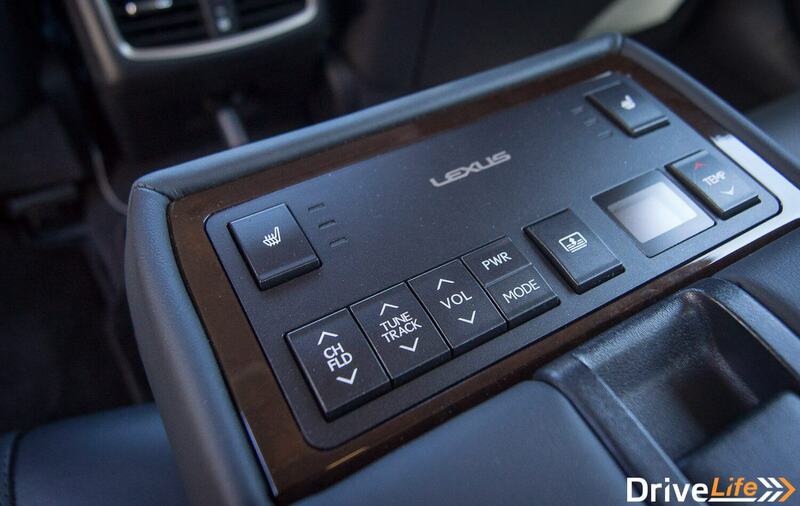 I love the Lexus cluster, it starts out as a completely blank set of clusters which clean and tidy. When you turn it on the clusters come to life and display your fuel, temperature, speedometer and either the eco meter or the rev counter. 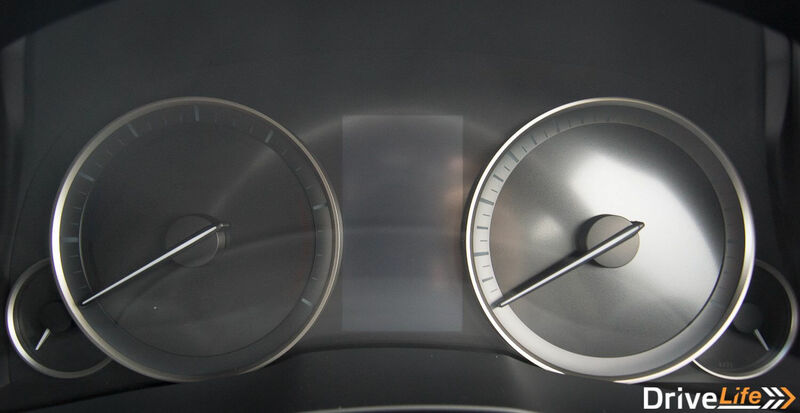 Normal and Eco mode leave you with the eco meter on the main left dial giving you information on how economical you were driving and when you were putting charge back into the battery which happens when costing or braking. But when you switch into sport mode the dial converts into the normal tachometer and gives you your rev reading. Another well thought out feature is the triple zone air conditioning, your zones being front driver, front passenger and rear passengers and of course each zone could be controlled both by the passengers in that area and the driver from the centre console. Nothing out of the ordinary there but what was a bit strange was the “Nanoe” button in the a/c settings that I had no idea what it meant. Nanoe it turns out is an award winning air purification system that features unique, award-winning nanoe ion technology used to fill the cabin with fresh air. Designed to be gentler on occupant’s skin and hair than conventional air conditioning systems, the process adds moisture to microscopic particles (ions) within the cabin. Also added as an optional extra on this model was the smog detection system which is great if you are stuck in a traffic jam in a busy city. If it detects that the smog levels are getting too high and are dangerous for the occupants it will seal off the outside air and switch the a/c to recirculation mode. Not that I think it would be needed in New Zealand too often, this would mostly be aimed at the asian market for places like Hong Kong and Tokyo where smog can be a problem. 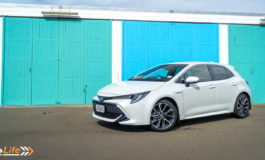 Now let’s get back to the driving, the car handled really well for the size of car that it is, a lot easier than I expected as I am used to a hatchback, and as many friends remarked it is a long car at 490.9cm long. Driving in and around the inner city I had no issues except finding a parallel parking spot that was big enough could be a challenge. You either had to find one that had no cars at either end or if they did that the drivers were not near the white line divide. 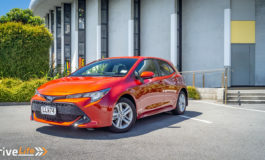 The car does come with parking sensors and reversing camera which definitely do help with parking but it is just a big car to fit in a small space. The ride in the ES300h was really nice, soft enough to absorb some of worst roads in the city yet not soft enough to feel like you were going to tip over if you went around a corner too fast. Speaking of body roll, if the driver was worried that he may be cornering too fast around a corner for the passengers it does come equipped with a sway meter. The sway meter symbol was a cup of tea and a bar below it; I unfortunately never managed to figure out how to use the sway meter, although it said it was ready if I took a corner a little aggressively nothing happened on the meter and I doubt any passengers if I had had them would have been too happy and most definitely would have spilled their tea. Being a passenger in this car is a mixed experience. The front seat it wasn’t as comfortable as expected, even though the car had all that you would expect – heated and cooled seats, navigational controls and the infotainment system. The chair was difficult to get into a comfortable position while maintaining the ability to easily control the various functions without too much of a stretch. I found I was changing the seat position quite often to try and find a good spot, but most annoying was the head rest. As someone of an average height (165cm) I would expect this wouldn’t be a bother but due to the forward tilt of the headrest I was unable to sit comfortably; trying the seat without the headrest then left the seat too low on my back. The back seat was a much more comfortable experience and I really think that this car was designed for a corporate car (driver and backseat passenger situation). The seat in the back was much more comfortable and the central console was within easy reach and had most buttons a passenger would like to control (radio control, back window blind and seat heating). Interestingly in the back seats there wasn’t any cooling option available on the seats which doesn’t seem like too much extra to have added. The window shades were quite useful and interestingly they even had a dinky little shade for the small corner section of the window. 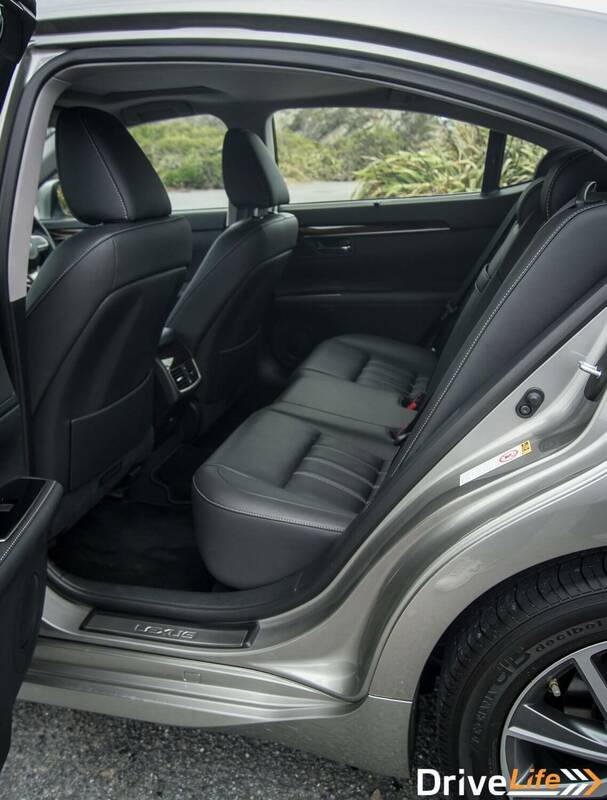 All in all this is a very nice luxury car, huge amount of space, lots of legroom all the comfort features you could want. As I have said I see this as the kind of car to be driven in so would be great as a fleet car for driving services, airport pickups and hotels. It also comes in quite a lot cheaper than its rivals from BMW, Mercedes and Audi.